365 Days of Crime Is Now On Sale! 365 days of brutal, foolish and nearly perfect crimes. 365 fascinating true crime stories. Over 700 pages of pure true crime history. From the death row inmate who sued the state for botching his execution, to a bank robber who gave the cashier his full name and address, 365 Days of Crime is this summer’s ULTIMATE true crime treat. And here’s an important catch – the early bird offer allows you to SAVE $60! Click here to pre-order the book for ONLY $35.95 (RRP $95.95) and become one of the first people to get our best-selling true crime collection totally FREE as a complimentary gift! What Is It Like To Be a First-Time Juror In a Murder Trial? Was Ted Bundy a Criminal Mastermind? What Is the Real Identity of the Oakland County Child Killer? 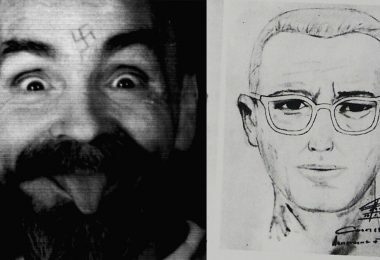 Was the Manson Family Responsible for the Zodiac Murders? This Is A Scary Good Deal! ?